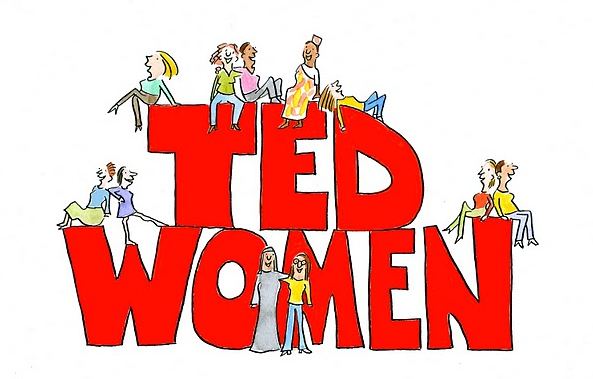 Last month we were lucky enough to attend one of the TEDx NYC events to watch the first TEDWomen ever. The most powerfully moving talks we saw are of Sheryl Sandberg, Tony Porter, and Liza Donnelly. (Donnelly's hasn't been released by TED as of yet. We've been waiting for it to complete our list, but nevertheless we'll have it to you as soon as it's out) . Meanwhile, we dare you to watch both awe-inspiring presentations (below). We predict one of two things might happen: either your perception of the female vis-a-vis male psyche will be altered forever, or it will poignantly verify observations and experiences that you've never been able to articulate before.